The November round of Fantasy Gacha Carnival ends tomorrow, Dec 6th and it’s been really an outstanding one, don’t forget to go if you haven’t already. I’ve done so many posts for it, and it’s always sad to me this will be the last one until the next round opens a couple of months from now. It’s the best event to blog for, because of all the creativity these gacha items bring into my styling. It’s always easy to get inspired when doing fantasy fashion. Thanks to the participating creators for their wonderful work! 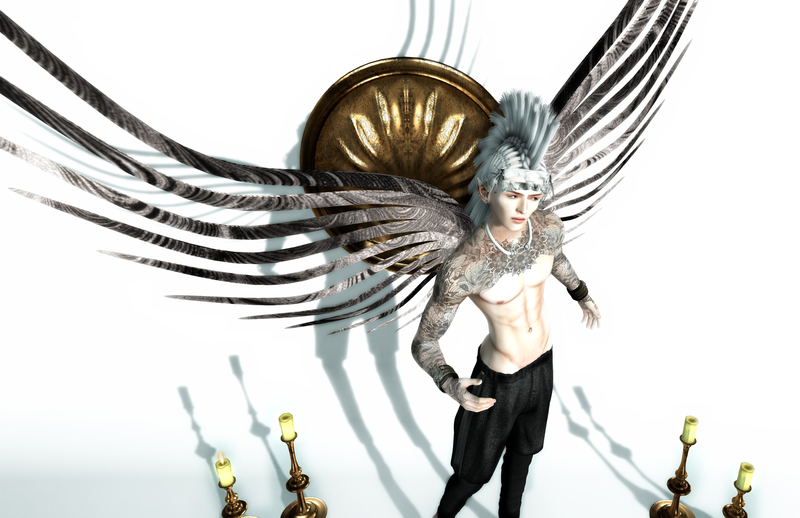 This entry was posted in Fantasy Gacha Carnival, Gachas, Men Only Monthly, Uncategorized and tagged "Fantasy fashion", "PosESioN", "White Widow", Du Jour, Du Jour Deigns, Gabriel, Gacha Rares, Gachas, LAB737, Men Only Monthly, Noble Creations, NOMAD, Second Life fantasy fashion by Paradox Messmer. Bookmark the permalink.